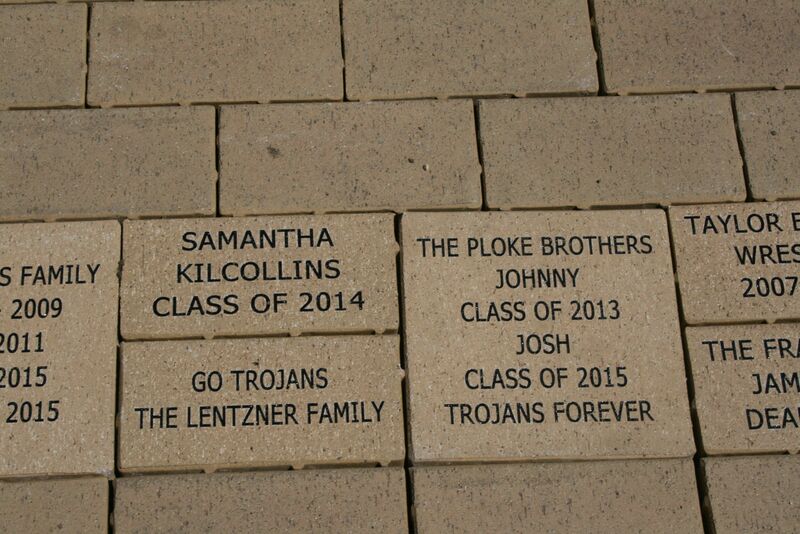 Have your family name, student’s name or business name etched on a brick and placed into the new Trojan Walk of Fame. The original walk is located at the entrance to the big gymnasium. A secondary location is now located in front of the track/football field. 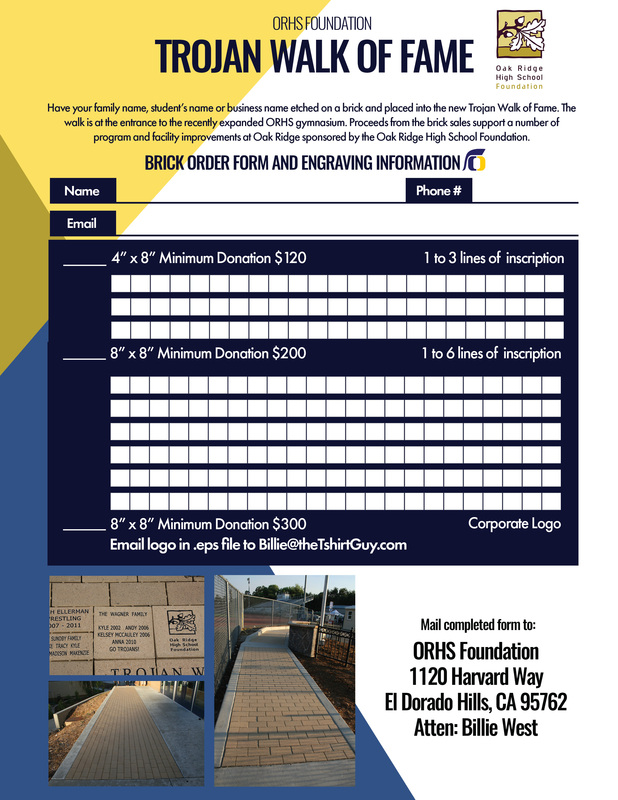 Proceeds from the brick sales support a number of program and facility improvements at Oak Ridge sponsored by the Oak Ridge High School Foundation. Individuals can purchase a brick at either the $125 (4″ x 8″) or $200 (8″ x 8″) level. Local businesses can proudly show their support of Oak Ridge by purchasing an 8″ x 8″ brick displaying their company logo for only $300. Best hurry before all bricks are sold!! Order online by going clicking here Brick On Line Order Form. Click here to access the Brick Form 2015!